Are you planning on immigrating to the US? Is this something that you have had in your plans for a really long time? If this is the case, your dreams might come true pretty soon. However, when this happens, you might be presented with another challenge, the language problem, which could be overcome by using immigration translation services. There are so many people who fail to get their admission into the US even after satisfying all the other requirements, simply because of things like language challenges. To help our valued clients in this regard, we are proud to announce our certified document translation for USCIS. There are a number of applicants who are unable to satisfy the requirements of the US immigration offices because of their poorly translated documents. Having years of experience in translating documents with perfection, our professional translators can provide translations covering more than 120 languages. So, if you are looking forward to submitting your immigration case to the US, choosing us can yield great outcomes. 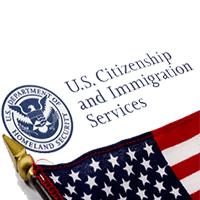 For a list of documents you may need for USCIS, please see this article: What you need to provide to the US Immigration Services? With our translation for immigration services you can have your personal documents translated and certified in 24 hours or less, and you don’t have to pay premium for it. Our expert translators are ready to take on any task and depending on your needs, you can have your documents translated the same day! Universal Translation Services provides certified translation for passports, birth certificates, marriage certificates, diplomas, any type of personal document, from any language into English. All our translations are guaranteed to clear the immigration process, and we have an 100% acceptance for all past translations. Clients want us to be fast, cheap and to provide quality. We’re able to meet all those expectations. Our rates are probably the lowest you can find: only $20 per page. The price is valid for pages having up to 200 words. If there are more words on the page, $0.12 per word will be charged instead. Do you need an official translation company to translate your immigration documents into English? We provide all languages into English when it comes to translation for immigration documents. 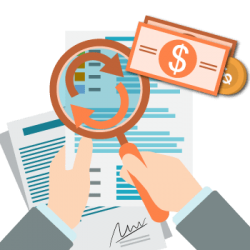 You will receive an official document translation validated by Universal Translation Services; an official professional translation company in the US, member of the ATA. If you are moving abroad or applying for a visa or green card, or any other immigration benefit, you will be asked to submit several immigration documents including your birth certificate, marriage certificate or divorce papers, academic documents, police records, and bank statements. If your documents are not in English, you are required to get document translation services for immigration. Most authorities and organizations like USCIS accept certified translations of your immigration documents. However, you can’t provide a certified translation of these documents yourself, even if you are fluent in both languages. You are expected to submit translation along with your non-English certificate in the proper format. A copy of the original document is needed to be submitted for authenticity purposes. When all the documents that are needed for immigration are translated, we take care of the certification. We translate any and all documents needed for immigration purposes. See below an example how an immigration translation certification looks like. Do you have birth certificates for all of your family that you need to be translated with a good document translation service for immigration and to get them ready in accordance with the rules and regulations of the USCIS?! We are here to deliver that promise to you, and give you the best-certified translation services for immigration, for personal and family documents that will need to be translated from a foreign language for USCIS. 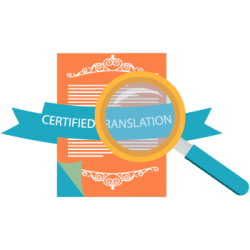 We offer birth certificate translations in over 120 languages and all of our translators are certified members of the American Translator’s Association. So, you will not have to worry just because your native language may be less used, we are able to help you. Call now! Do you have a marriage certificate in your native language that was made in the early eighties? Are you worried that getting it translated in a credible and verifiable manner is going to be a challenge? Worry not; we are here to give you the certified translation services for immigration that you need! Our company is here with accurate document translation services for immigration and give you marriage certificate translations from over 120 languages! 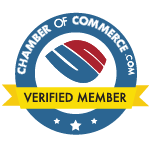 We give you certificates of authenticity that will make sure your translation is good for the USCIS office. You will also get our complete contact details so that the immigration office can call us whenever they have a problem with the certified translation, and we can clear up the problem for them! Call now! Universal Translation Services is here to give you the best-certified translation for your divorce decree. These documents are usually written in different languages and will need to be translated into English in order for them to be usable in the US immigration process. This is where we come in with affordable divorce decree translations, ready in 24 hours or less! 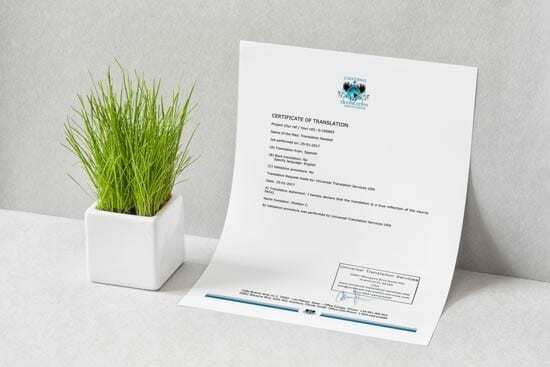 The translation that we provide will come with a certificate of accuracy done by us and will clear the legal office that you are submitting your documents to. We have a long record of providing high quality, reliable translations and your documents are safe in our qualified hands for certified translation services for immigration. Call now and get the translation that you need, guaranteed to be accepted at any USCIS office! Whether you need your medical records translated, we provide the best medical certified translation services for immigration in the United States. Medical records are not only translated for immigration reasons; they are also translated because many foreign nationals have all of their medical records written in their language. The medical records have to be viewed and understood by doctors in the United States. This is why it is only feasible that the medical records are translated in a way that will make sense to the doctors that are viewing them! We have experienced translators for over 120 languages! This means that you will never find yourself in search of a translator that we do not have. Call now for document translation services for immigration! With the immigration translation services that we are offering, this is not supposed to be the case for you. USCIS birth certificate translation is something that you will surely come to appreciate, because we make it easier for you to have all the necessary requirements. Before coming to the US it is always a good idea to have all your documents translated into English, so that you can have all the other procedures going smoothly for you. With our immigration translation services, rest assured that you will have more than the assistance that you need provided for you. A lot of people do not understand the need for translation for immigration documents until that point where they find themselves stuck in a situation where they do not have much going their way. For immigration, you will need us to translate your birth certificate for USCIS so that all your applications from here on can be done faster and smoothly. Getting the USCIS birth certificate translation is one of the first steps towards certification of your documents, which will then help you live a normal life in the US. You do not want to be in a situation where nothing is going according to plan for you, simply because the documents that you have are not available in a language that can make work easier for you. Through this service however, you will come to realize that there is an expedited rate of processing of your work because your documents are in a language that is easy to understand for the government officials that you will come across. Let us do this for you, and make your life easier. UTS provides certified translation services for all your personal documents. If you need translation for immigration in USA, we have you covered. Whether you need your birth or marriage certificate, your diploma or any other document translated for USCIS, we are able to provide you with USCIS certified translation for all. As you know USCIS has special requirements in order to process your papers. You already have to submit a pile of papers. Most of the times, your appointment starts with a lawyer who is specialized in immigration. 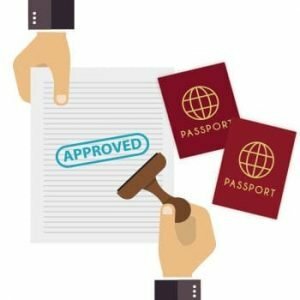 That lawyer knows exactly what kind of visa you need to have and application for visas differ from on another depending on the type of visa you are applying for. All will cost you money to get things arranged and it takes time. This is not something that can be arranged in 2 weeks. The preparation of the papers is what takes most of the time. So we try to help you to speed up the requirements when it comes to immigration translation services. We will be able to translate your birth certificate or your passport or any other papers that need to be certified and ready for the USCIS. Most of the times we deliver the same day and we have a flat rate of USD $20 per page for every certified translation. Your translation for immigration documents will be delivered with the certification signed and stamped ready to be submitted to the USCIS. Guaranteed! The USCIS is very strict with following their regulations when it comes to document submission. Any personal document in any language but English needs to be translated and certified. No, USCIS no longer requires notarized translation, only certified, which you can either submit by e-mail or by going to their office. The certified translation needs to follow the rules as well. When it comes to USCIS document translation, the applicant can’t translate on its own. Truth is, a friend of his could provide the translation, but issues may appear in the form of the translation or the certification, which will lead to the translation being rejected. Our USICS document translation services are here to provide you with a certified translation which is guaranteed to be accepted by any USCIS office. We know the rules and regulations imposed, and we do our translations according to those rules. Hundreds of customers have been happy with our services, and we have an 100% acceptance rate at USCIS. Get in touch and have your translation for immigration documents done at only $20 per page! Why do you need USCIS translation? 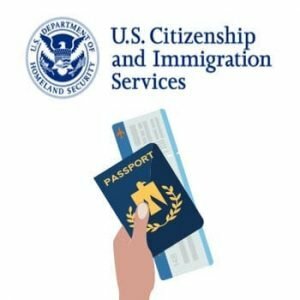 People who are planning to migrate into the United States are required to submit certified translations of relevant documents to get their case approved. A small mistake or error in the translation can cause delays or even rejection of your application; therefore it is important that you get your documents translated from a trusted agency. UTS provides immigration translation services for all types and categories of personal documents. From birth certificates to marriage certificates, our services meet the predefined criteria defined by the USCIS so that your application never gets delayed. When it comes to USCIS translation, you can never get it approved unless the work has been performed by a professional translator because the documents need to be accurate and authentic. 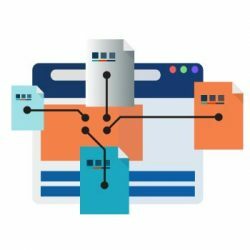 To meet our client expectations, we are always ready to handle any sort of certified document translation assignment. To avail a free quote, you can talk with one of our project managers through the customer care helpline which is available 24/7. 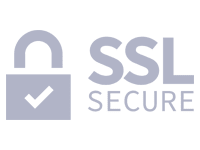 Furthermore, our team members guarantee the safety and security of your important documents so nothing gets compromised during the translation procedure. Immigration translations need to be accurate and certified as there are several important aspects which need to be focused. Translating your birth certificate for USCIS by yourself is surely not recommended as your immigration case can be delayed due to false documents. Even more, USCIS prohibits the immigrant from translating his own documents. Even though you are bilingual and can translate anything else, you can’t translate and certify the translation of personal documents if you are going to submit them to the USCIS office. Universal Translation Services offers certified birth certificate translation services at low rates. As we have employed the finest team of certified translators in our company, each translation project is done as per the strict standards set by the US immigration office and our translations have 100 percent acceptance rate at USCIS. An immigration translator plays an essential part in supporting a way to justice and due process of immigration. In addition to a quality level of oral and written fluency in another language, translators working with foreign customers should be culturally fair and familiar with language access standards. If you need assistance for the translation of immigration documents, our USCIS approved translators can break the language barrier and offer professional guidance. At UTS, we understand that every nation has different requirements for immigration. When it comes to the US, we provide translation services with the type of certification you need. We are the best immigration translator you can find, we can translate from any language into English and we sport some of the lowest rates. No matter your native language, we will always have an immigration translator available for any language. Our expert translators have years of experience in translating birth and marriage certificates, academic degrees, and legal agreements. To ensure accuracy, your translation is edited by a second linguist before being sent to you. Our immigration translation services are formatted to meet all US Citizenship and Immigration Services requirements and we guarantee acceptance for all our certified and notarized translations. People who are about to submit their case to the US immigration office need to get certified translations of every relevant document. Certified document translation solutions offered by us are done according to the standards set by the USCIS. Moreover, you can also get your documents translated the same day for which no extra charges are applicable. Order your immigration translation today! When you require document Translation Services for immigration, you have to be very careful. Immigration offices are very particular about the paperwork and documents. Their officials check out every little detail in the documents submitted. And just a hint of a misleading information could make them curious. To avoid such a situation, it is always advisable to go with a translation company that has been in the industry for a long time and has immigration translators on board. 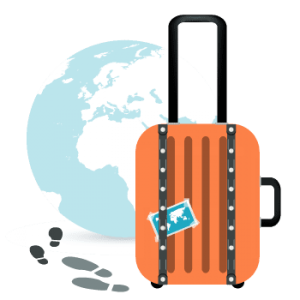 including birth certificate, marriage certificate, divorce decree, driving license, diploma, degrees and any other official document that you may have been asked to submit by the immigration. The moment you tell a service provider that you are in an emergency and you need things get done quickly, they use your situation to charge you extra. But unlike most translation companies which charge you with rush translate rates, Universal Translation Services provides urgent translations with no extra cost added. 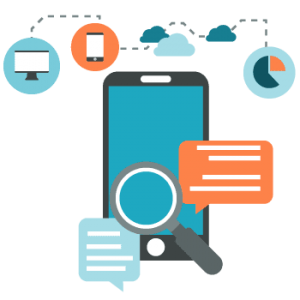 Our vision is to ensure translation services that are convenient and cost effective. We are a translation agency that understands your urgencies and value your loyalty as a customer. And in return we never take advantage of your emergencies. It is due to our commitment to our customers that we have achieved global recognition in the field of translation. 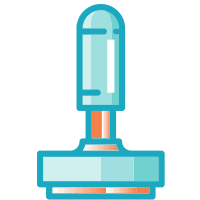 We still believe that we can offer more and hence, we keep on including every new translation service to our list so that you don’t have to choose another translation service for your translation needs. So if you are done with companies asking you for rush translate rates, it’s time for you to choose Universal Translation Services.